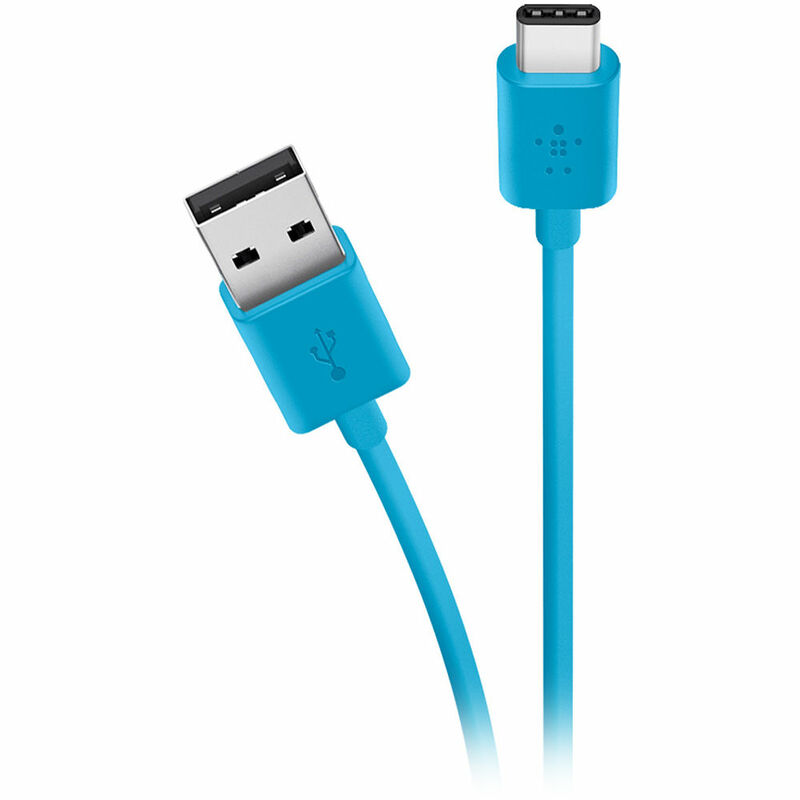 The MIXIT USB 2.0 Type-A to Type-C Charge & Sync Cable from Belkin features a USB Type-A plug on one end and a USB Type-C one on the other, the latter of which has a reversible connector, so you can plug it into devices in either orientation. This 6' blue cable supports charging and syncing with a 3A power output and a data transfer rate of up to 480 Mb/s. Use it to charge or transfer data between your mobile device via a computer, or even with a wall charger for faster charging. This cable is USB-IF certified to meet electrical, mechanical, and environmental standards.